Old name for a new truck. It may not mean much to Millennials, but older motorists may get a sense of déjà vu when Honda lifts the covers on the all-new Passport SUV at the upcoming Los Angeles Auto Show. Set to slot in between the Japanese automaker’s CR-V and Pilot models, what appears to be a three-row crossover borrows the name of what was Honda’s first-ever utility vehicle, a five-door that was actually produced by erstwhile rival Isuzu and sold in the U.S. under the Honda badge between 1993 and 2002. The new Honda Passport was designed and engineered – and will be assembled – entirely in-house, and will become the fourth model in the brand’s CUV line-up, lining up in Honda dealerships next year alongside the entry-level HR-V, as well as the CR-V and Pilot. 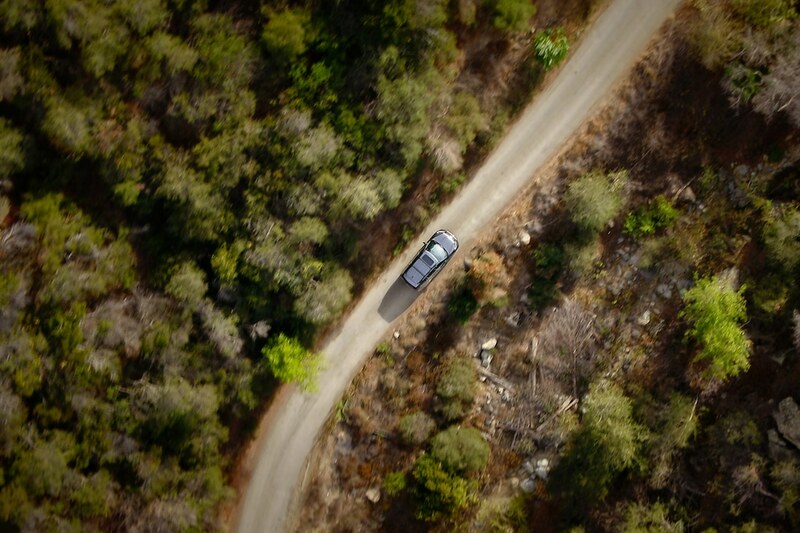 And, as with the latest-generation Pilot, which was launched earlier in th3 2019 model-year, the teaser images provided by Honda suggest the automaker is going to position the new Passport as more than just another “soft-roader. “The new Passport is a more personal, powerful, and off-road-capable SUV that hits the sweet spot between daily driving comfort and weekend off-road, all-weather adventure capability,” Henio Arcangeli, the U.S. head of the Honda brand, said in a statement accompanying these images. The carmaker isn’t offering any details about the new Passport, though it’s expected to be offered in both front and all-wheel-drive configurations. The images suggest is may be offered with a three-row option, if not as a standard feature. As with other recent Honda entries, expect it to get the latest version of the Honda infotainment system, including some features like the intercom that lets parents up front talk to kids or other passengers in the back. The Honda Sense suite of safety and advanced driver assistance systems, such as forward collision warning, will very likely be standard fare on, at the least, mid to higher-trim versions of the 2019 Passport. The original Honda Passport, which debuted during the 1994 model-year, was part of an initially expansive relationship between Honda and Passport that saw the bigger of the two makers provide Isuzu with sedans after Isuzu stopped building its own passenger cars. 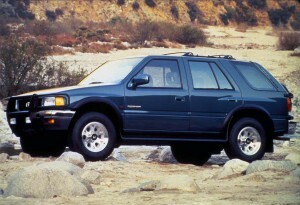 In turn, it provided trucks to its partner, including both the Honda Passport and the Acura SLX. The Passport name originally was used on this Isuzu-made SUV launched by Honda for 1994. Produced at the Subaru-Isuzu plant in Bloomington, Illinois, they were more traditional, truck-based utes and received a mix reception from reviewers – though they allowed mainstream Honda and up-market Acura to enter what was just beginning to be a significant market for utility vehicles. The partnership fell apart in 2002, Honda launching its own, crossover-based, first-generation Pilot. By then, Honda had also added the CR-V. Over the years, however, the Pilot has grown substantially larger than the original version, creating what Honda sees as a gap big enough to drive an all-new SUV into. Set to reach showrooms early next year, the automaker says the new Passport was designed and engineered in the U.S. – much like the latest-generation Pilot. It will be assembled, meanwhile, at the Honda assembly plant in Lincoln, Alabama. The timing of the launch, arguably, couldn’t be better. Crossovers, in all their various forms, have gained more than a dozen points of market share over the past five years and now account for about one of every two new vehicles sold in the U.S. – with vans and pickups bringing light trucks overall up to nearly two-thirds of the market. The pace of growth is expected to continue, albeit at a slower pace, according to forecasts by the likes of IHS Markit. The Honda brand itself has seen sales of its light truck– a mix including the Ridgeline pickup – hit all-time high levels three years in a row, with the numbers growing 5.3% through the end of October. Since its launch, the latest-generation Pilot is up 41 percent. At that pace, the marque is on track to top 700,000 truck sales this year, another record. Significantly, the CR-V is now Honda’s best-selling American model, having pushed past both the Civic and Accord nameplates. That said, the challenge will be to ensure that the new Passport doesn’t simply cannibalize Honda’s existing models but conquests customers from competitors. That could be a challenge considering the flood of new CUVs coming to market, including all-new offerings like the three-row Subaru Ascent and updated models such as the Jeep Wrangler. The 2019 Honda Passport will make its formal debut at 3:30 PM PST on November 27 at the Los Angeles Auto Show. This entry was posted on Thursday, November 15th, 2018 at and is filed under Acura, Auto Shows, Automakers, Business, Crossovers/CUVs, Honda, Los Angeles, Markets, Pickups, SUVs, Safety, Sales, Sales, Spy Shots, Technology, Trends, U.S./North America. You can follow any responses to this entry through the RSS 2.0 feed. Both comments and pings are currently closed.